Be on the look out for more information and upcoming training on REALM. We invite you to join us anytime by creating a login here. After you create your login, you can login anytime through this link. Once you login, please update your contact information through “Edit Profile” where you can also add a picture of yourself. 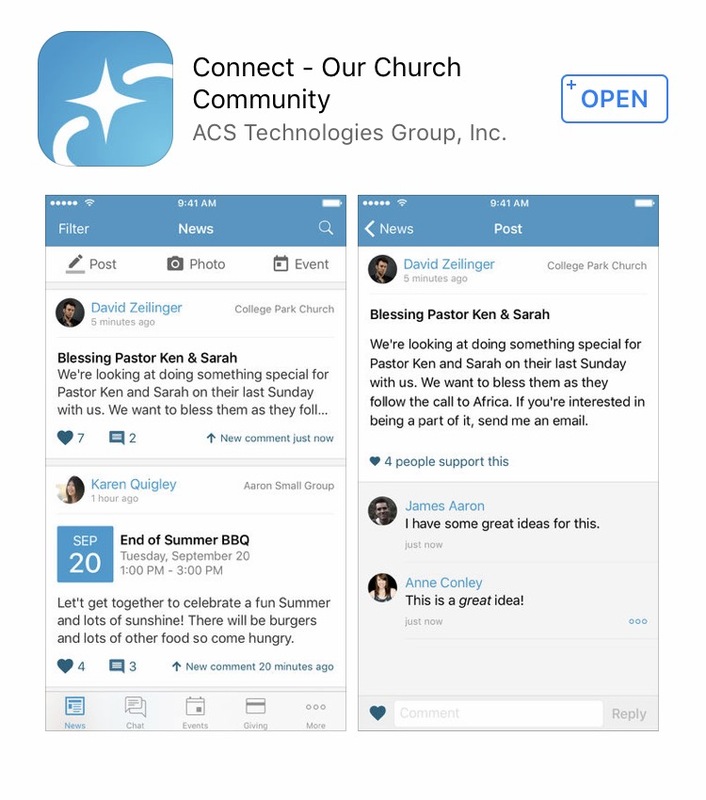 To download the app, use your App store on your phone and search “ACS REALM.” The app is called “Connect – Our Church Community” by ACS Technologies. This entry was posted in REALM. Bookmark the permalink.